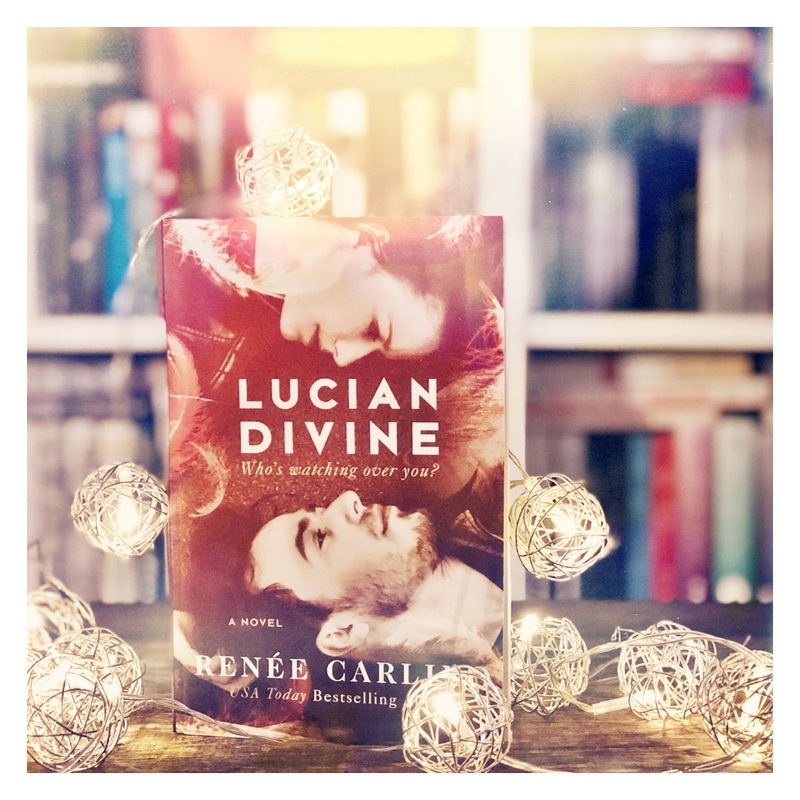 From USA Today Bestselling Author, Renee Carlino, comes a totally unique love story that is sure to make you question what’s out there . . . or who. “My guardian angel is a drunk.” Evelyn Casey’s life is at a standstill. She’s in her mid-twenties, struggling with the dating scene in San Francisco. Nothing seems to be working out, and she’s starting to think that she’ll live out her days in her crummy apartment with her overbearing roommate, Brooklyn. It’s absurd, but sometimes Evey longs for a guardian angel to show up and save the day. And then he does. Seriously. His name is Lucian and he’s a guardian angel, been on the job for two thousand years. His sudden presence in her life is both good-he’s brilliant, witty, and warm-and bad-he’s brilliant, witty, warm, and hot as —-. But as perfect as Lucian seems, he’s got problems of his own. He’s taken up drinking and he’s brazenly inserted himself into Evey’s life, going against the greatest cosmic law ever created. For Evey, the rules are simple: You are not allowed to hook up with your guardian angel. But sometimes fulfilling your destiny requires a leap of faith, a confrontation with God. Yes, God as in God. 3/5 Stars. This book had some serious City Of Angels vibes. I love that movie which means I enjoyed this book. It would have received a higher rating from me if it was a longer book. I just feel like less than 300 pages was not enough for this story. I needed more. RC really rushed everything in this book. Everything seemed to happen all at once and it was quite aggravating. I just wanted a slow burn romance for this novel and we got a love at first sight instance. But if you want a really quick read and you’re a sucker for City Of Angels like I am, you need to read this book! I really enjoyed the story. It was fantastic. A guardian angel falls in love with their assigned people to watch over. He shows himself to her and she can’t help but instantly fall in love with him. Their relationship just grows throughout the book and Lucian gives up everything to be with Evey. There were some issues that I had with the book, though. I will go into that in the character rating. 2.5/5 Stars. So, I had some issues with the characters. Lucian has to be my favorite. He’s quirky and cocky. He’s got the most personality out of everyone in this book. I’m going to complain about Evey for a moment. When she first starts to love Lucian, all she wants is him. She becomes so dependent on him in an unhealthy way that she threatens to slit her wrists to be with him. I just really hope that in their new relationship, they’re not so dependent on each other for everything. All of the side characters were extremely boring. I couldn’t like any of them even if I tried. RC’s writing style has always been easy to read. Especially this book. I could have gotten through this book in one sitting if I had the time. I really liked the two perspectives of Evey and Lucian. It was great seeing things through both of their eyes.